Motivational Wall Sticker. Stay motivated with this wall sticker. Decorate your home, office or business with this wall decoration. 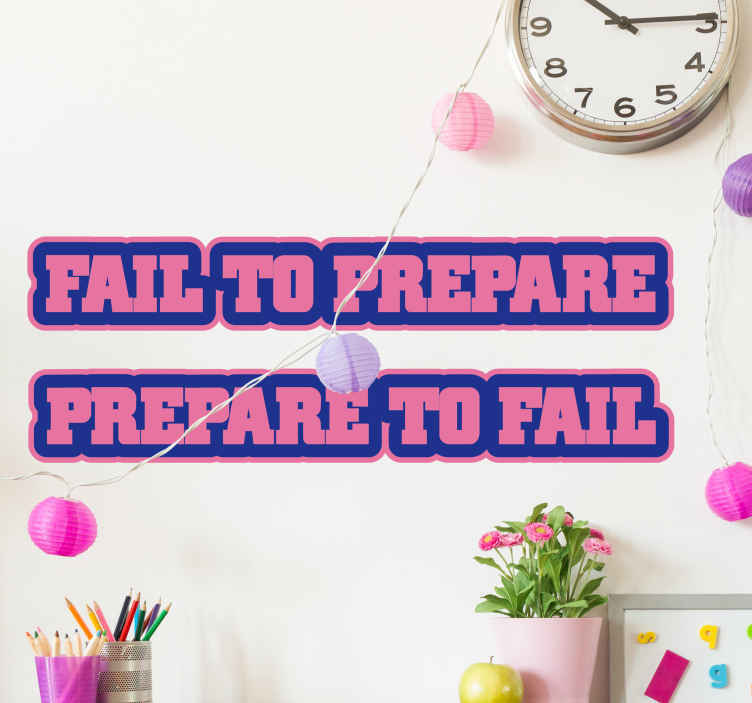 The text based sticker consists of the message "Fail to prepare, prepare to fail" written in a bold font in order to catch the audiences attention. Like all of stickers this design is available in various sizes. We use a special adhesive film which makes it easy to apply to any flat surface.